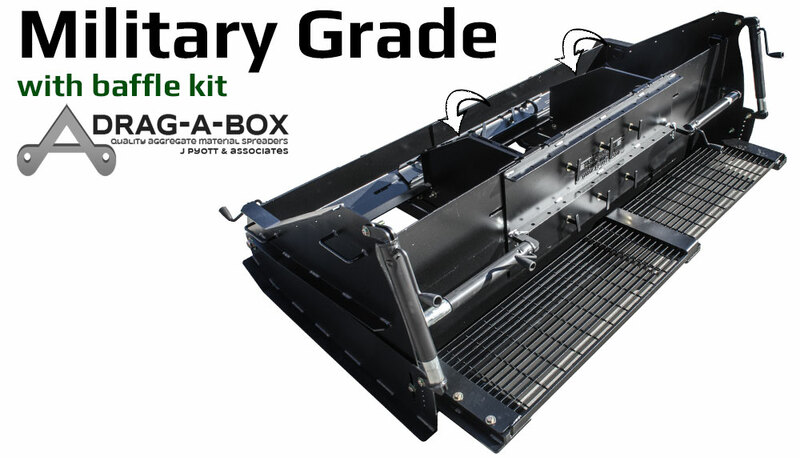 An optional version of the Military Grade Spreader is the Military Grade Material Spreader with Baffle Kit. This version has a different structural center tray with additional pull bar mounts and comes with a single Baffle Kit. 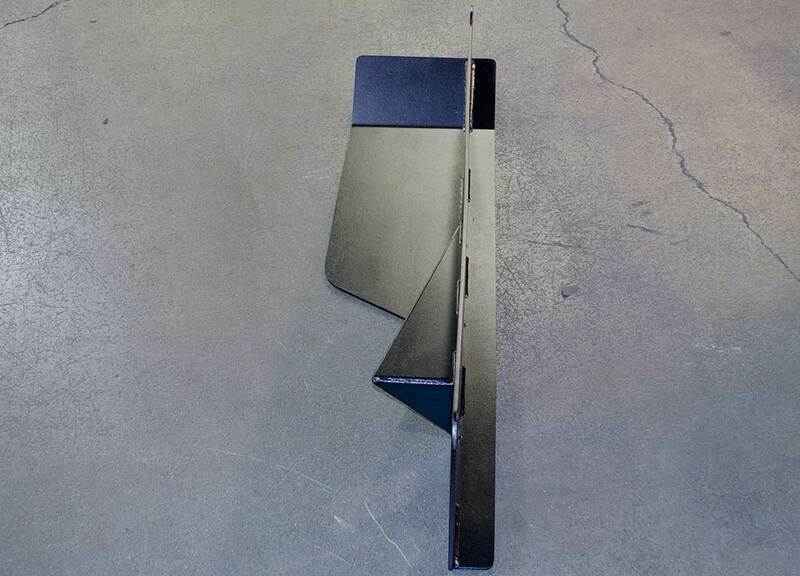 The Baffle Kit consists of one drivers side Divider Assembly and one passengers side Divider Assembly. 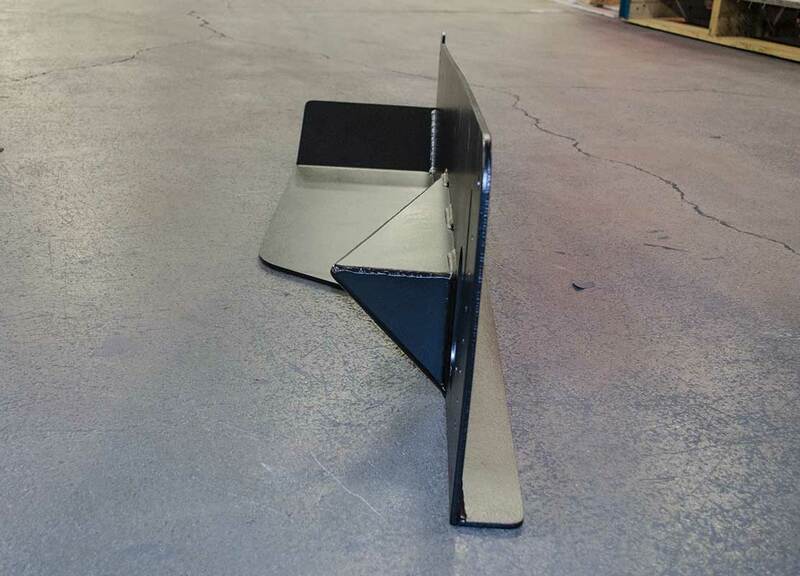 Additional Baffle Kits can be purchased separately. A Spreader with a Baffle Kit can be used many different ways. The most common use is to allow a material spreader to spread a path smaller than the smallest width it can be adjusted too. 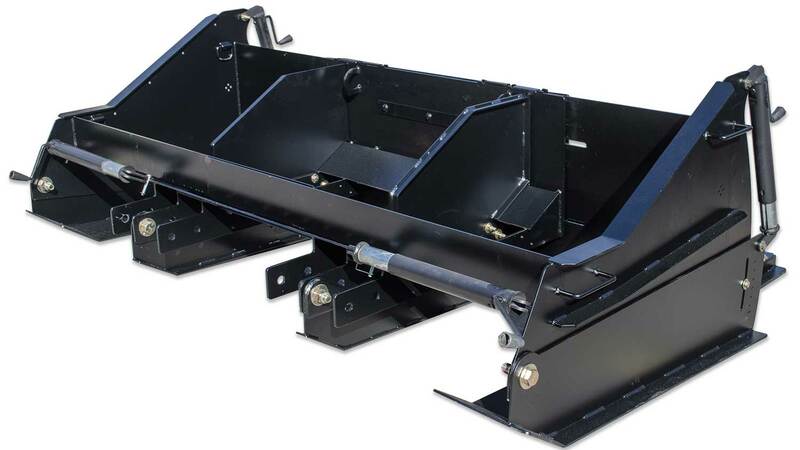 For example, a Military Grade Spreader that adjusts from a minimum of 7 feet to a maximum of 12 feet can also spread a 2 foot path, a 3 foot path, a 4 foot path, a 5 foot path, or a 6 foot path using the Baffle Kit installed in the proper position. Alternately, the material could be poured between the divider and the outside wall of the spreader on each side to create two parallel paths of material. For example, a Military Grade Spreader adjusted to 8 feet wide with the center Baffle Kit dividers set 4 feet apart would spread two parallel paths 2 feet wide. If an optional second Baffle Kit is purchased, two individual parallel paths of material can be spread of different widths, of an outside width less than the minimum width of the spreader. 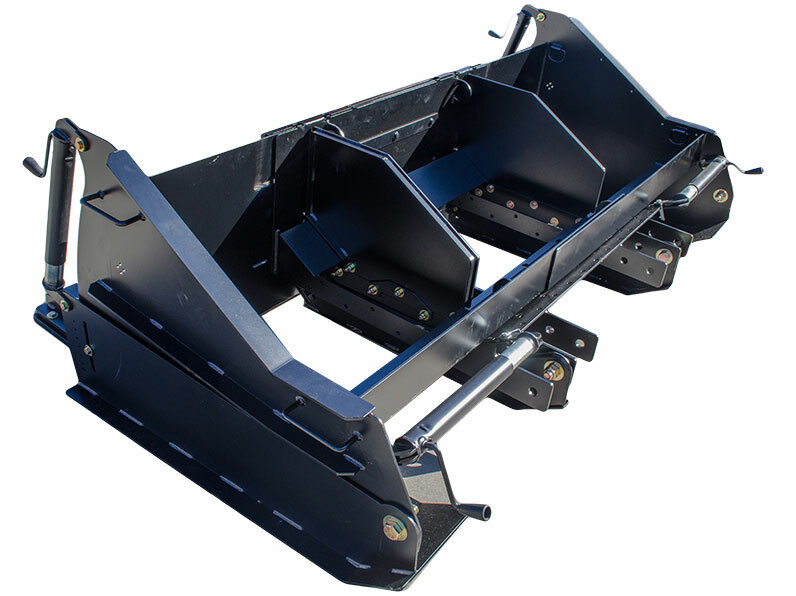 This is most common for customers purchasing a 7′ – 12′ material spreader that would like to spread two tracks of material of the appropriate width for use with a standard car, in this case two paths 6 feet on the outside and 3 feet on the inside. This spreader also features a removable grate that allows operators to stand on for comfort. 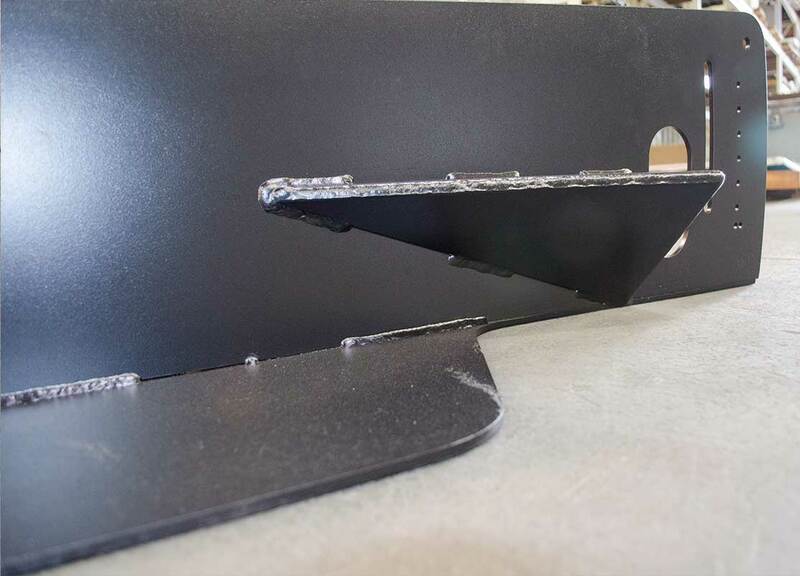 The Safety Edge℠ design allows you to have 45 degree edges to your pavement. 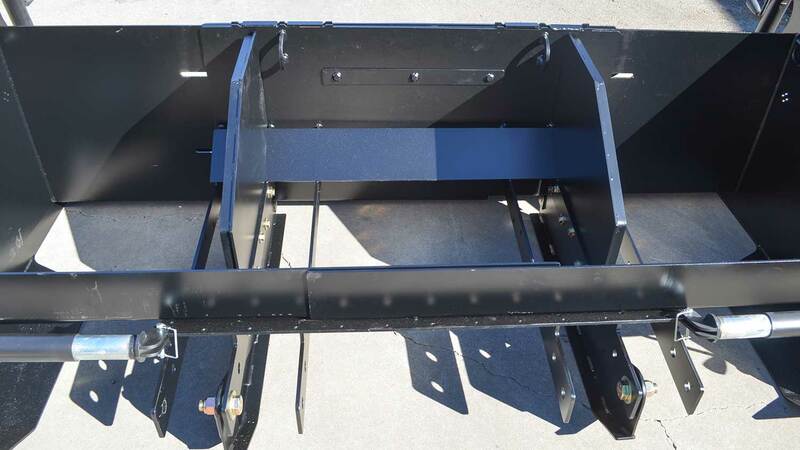 This optional skid is available for the Military Grade spreader. Call us for more information!